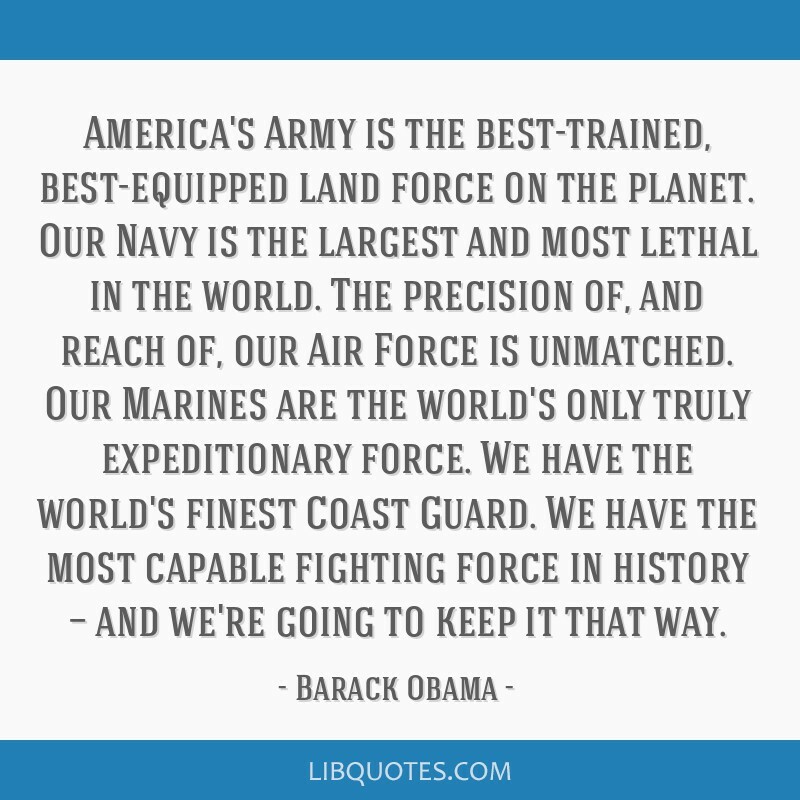 America's Army is the best-trained, best-equipped land force on the planet. 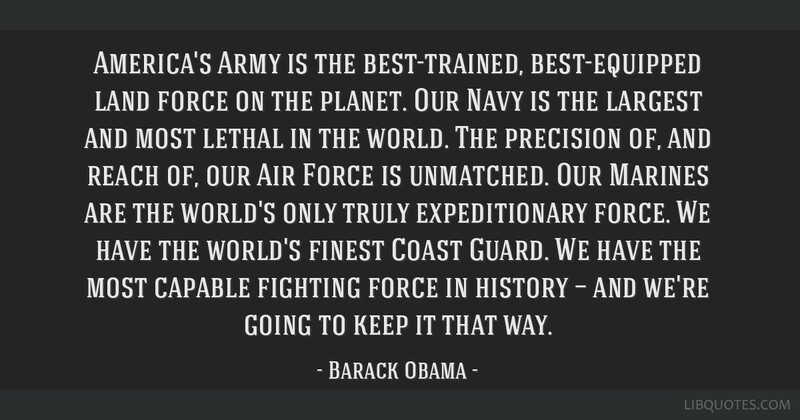 Our Navy is the largest and most lethal in the world. The precision of, and reach of, our Air Force is unmatched. 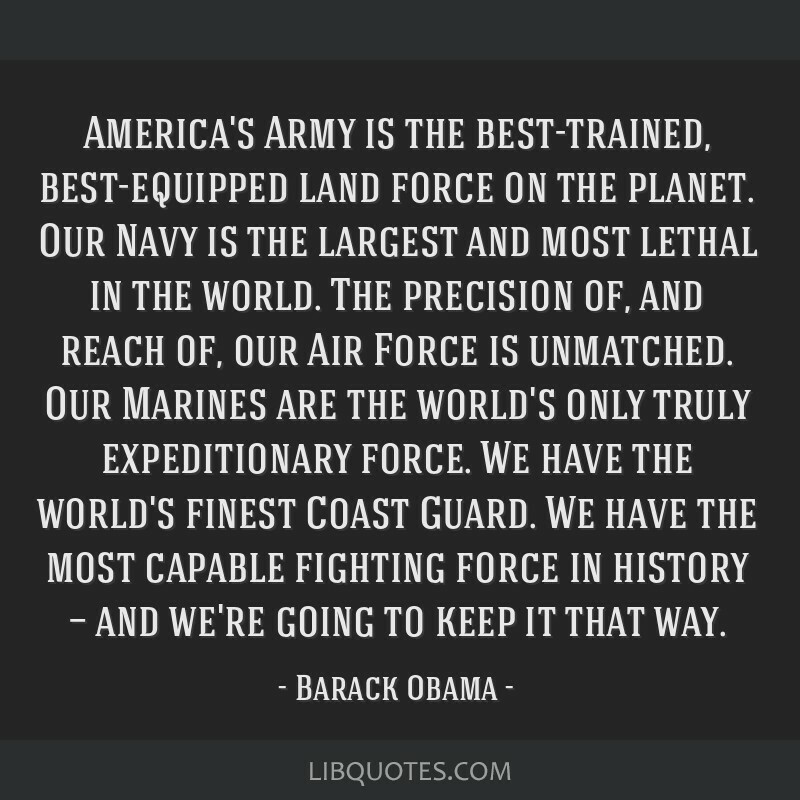 Our Marines are the world's only truly expeditionary force. We have the world's finest Coast Guard. 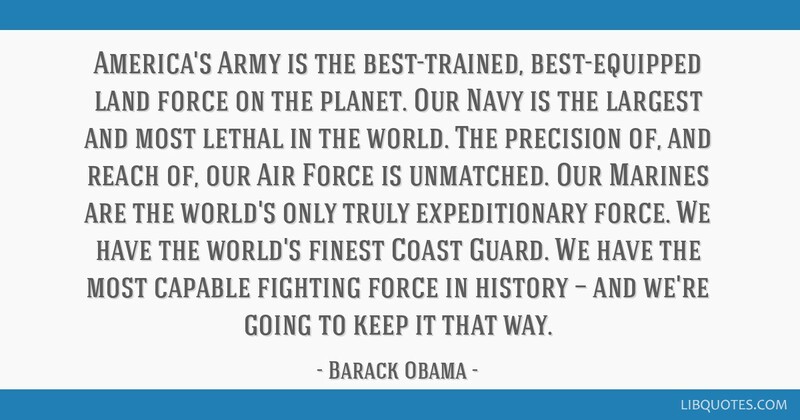 We have the most capable fighting force in history — and we're going to keep it that way.